A kettle helm, modelled after one of the styles depicted in the Maciejowski Bible, c.1250. 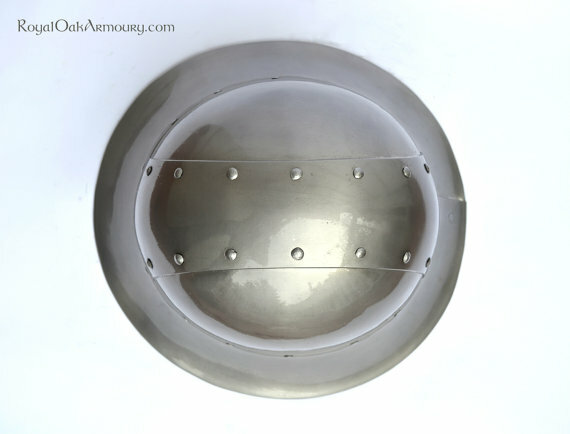 Our version is made of 16 gauge steel, shaped to closely resemble original illustrations. 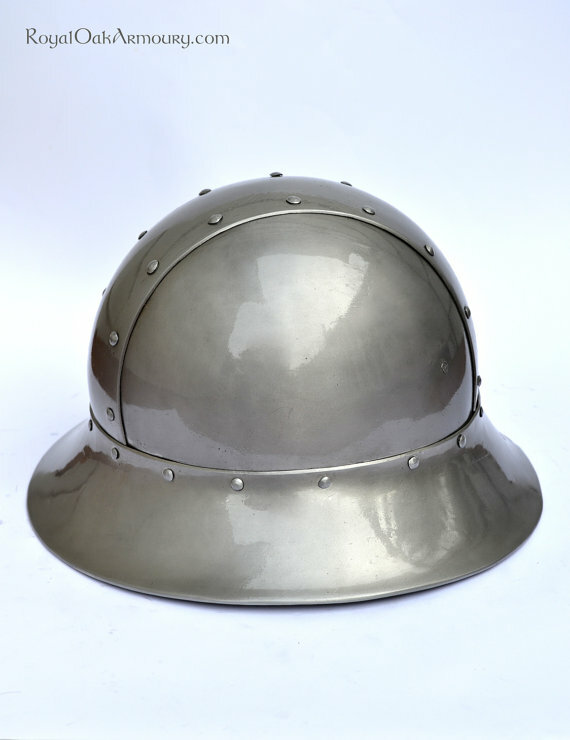 Sturdily assembled with rows of hand-clenched rivets and with a flared brim and turned-under edge to produce a helmet of remarkable solidity. 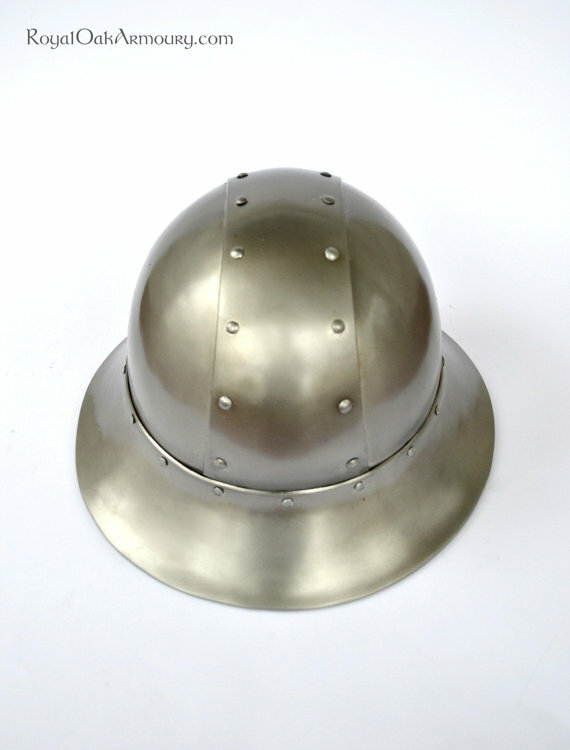 Shown here in a smooth satin finish, though a variety of finishes are available. Comes standard with a deerskin chin-tie. 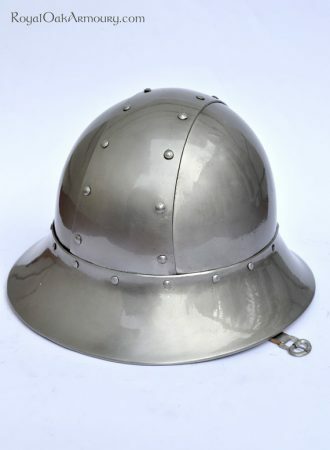 Can be worn over an arming cap, fitted with a leather suspension liner, or both.